What do you buy in the sales? I'm actually terrible at buying things in the sale. I always forget that they are happening even though I'm aware of them weeks in advance. My primary interest it often to see what's been discounted as could this mean the end of a trend or is something just too expensive at full price. 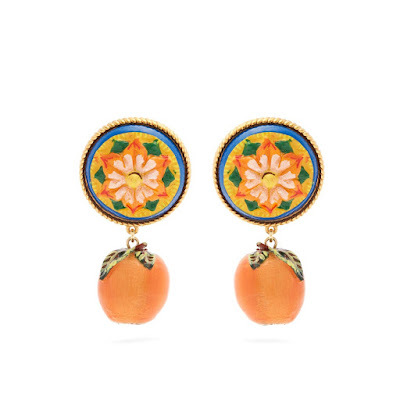 I noticed a significant amount of fruit-based Dolce and Gabbana jewellery in the Matches sale, and fruit has been an emerging jewellery trend all throughout spring. By the way, if you fancy snapping up a zany fruit necklace now is your chance! However, I had a think at what I would buy in the current sales and in all honesty there is only one thing I've had my eye on that's finally been reduced, and that's a Monica Vinader Diamond Baja Ring. 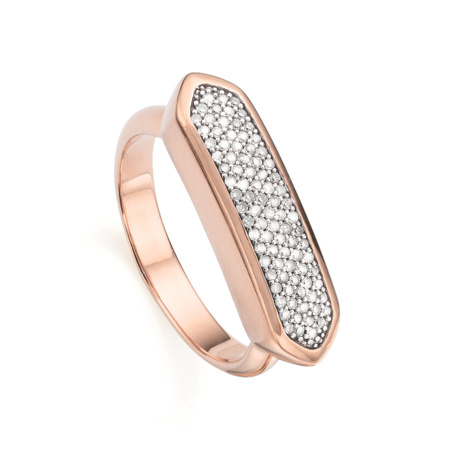 This ring usually is £475.00, and now it's £285. That's almost half price with £190 off, and I might be tempted if I hadn't already got a recent jewellery purchase that is now the love of my life. More on that another time. This Baja ring is my ideal diamond ring that you can buy for yourself. It's not a solitaire or anything like an engagement ring. Pave diamonds are generally quite chic, and I love the perfect sparkle you get with it. The size of this ring means that I would happily wear it to the office, or on a night out and at the weekends. It's not as large as some cocktail rings, but it's not a slinky skinny stacking ring which I'm incredibly bored of at the moment. There is quite a lot of variety in the Astley Clarke Sale and I've always liked this moss agate necklace. I really like it when jewellery is completely unique due to the natural variations in gemstones. I don't have anything with Moss Agate and I like that this piece is not automatically black and gold which is my go-to winning combination. The dark green makes this a little more mature and stylish then a black gemstone plus it would look cool over white or black. I especially like the idea of wearing this with a black turtleneck, black jeans and statement shoes. Chic AF. At the moment I'm also into really chunky stuff and have been coveting statement pieces from The Great Frog and anything that's got a rock and roll edge to it so these Alexander McQueen beetle earrings are my ideal earrings at the moment. 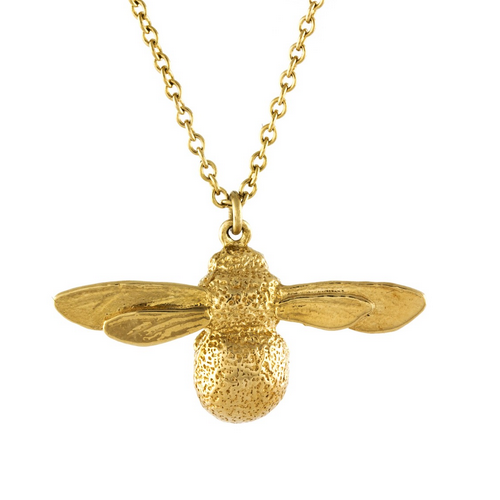 Ancient symbology and insects is a huge trend this year and I don't think it's going away quickly. I love the detail on these earrings and the way there is even a tiny skull on each once that been incorporated into the design. These would have a home in my jewellery box for years to come. 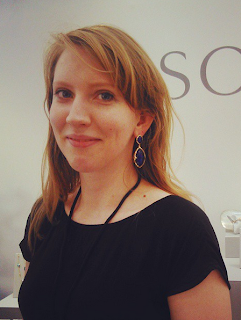 My strongest advice to anyone wanting to pick up a great piece of jewellery at a low price is buy something that's a hero piece from that brand such as statement tassel earrings from Oscar De La Renta, a Skull ring from Alexander McQueen or hoop earrings from Maria Black. My biggest avoid would be buying anything that's still expensive where the trend might seem like it's over. I'm not a big fan of paying for expensive costume jewellery for the sake of a brand name either so always have a look at what something is made out of as well. Plus the golden rule don't buy something becuase it's cheap!